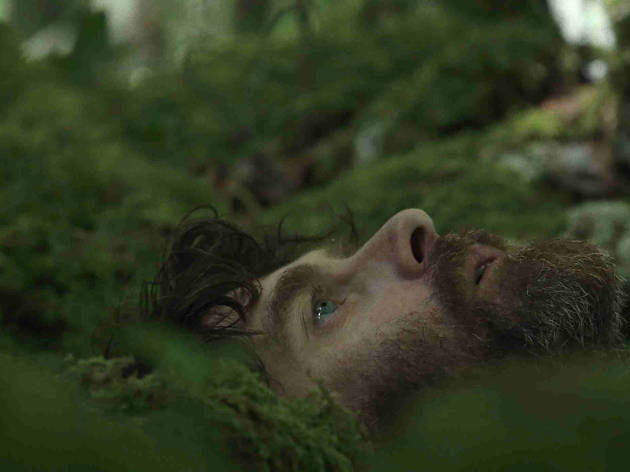 This intriguing low-budget drama is summed up by its title: two people live in a hole in a forest, surviving as best they can. The title might sound like a C-grade horror movie or a soggy relationship potrait, but this low-budget British drama is something much more strange. When we meet Scottish couple John (Paul Higgins) and Karen (Kate Dickie) they are literally living in a hole in the middle of a forest in the French Pyrenees, eating bugs and fending off dangerous spiders. Slowly we realise that this dishevelled, half-wild pair are deep in the throes of grief. A nearby French farming couple, gentle Andre (Jérôme Kircher) and hard-faced Celine (Corinne Masiero), seem unsure whether to help or harm their odd neighbours. 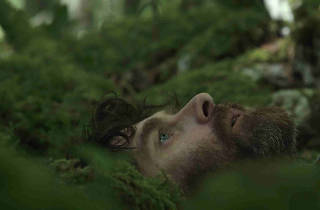 First-time filmmaker Tom Geens, working with an arresting score by the British band Beak, takes his time, and for much of the film he prefers atmosphere over explanation. An intriguing friendship develops between John and Andre, although both are terrified of telling their wives. As Karen, Dickie explores the wild anti-social nature of despair, while, as her husband, Higgins keeps one foot in the world of the functioning while still managing to look crazed and lost. Story is thin on the ground, but ‘Couple in a Hole’ gives us understated mystery and unease in spades.